While checking on the condition of the fruit at the New Alluca Wine vineyard in Australia, Tim Whitrow left the door to his car open so that his dog could hop in and out of the vehicle. However, when Whitrow returned to his car, he discovered that another furry friend had entered the cabin. A koala somehow managed to sneak its way inside of the vehicle. The koala must have been looking for a way to cool off, as Whitrow had left the air conditioning running. Whitrow’s canine companion soon took an interest in the marsupial while it was momentarily in the car. Whitrow soon tried to coax the Koala out of his vehicle, as it was traveling between the vehicle’s front seats and back seats. These attempts only led to Koala to climb onto the vehicle’s dashboard, scratching up the dash in the process. Eventually, the koala got the memo and exited the front passenger side of the vehicle. It then ran off, likely to find some eucalyptus leaves to munch on. This koala was evidently more active than most. 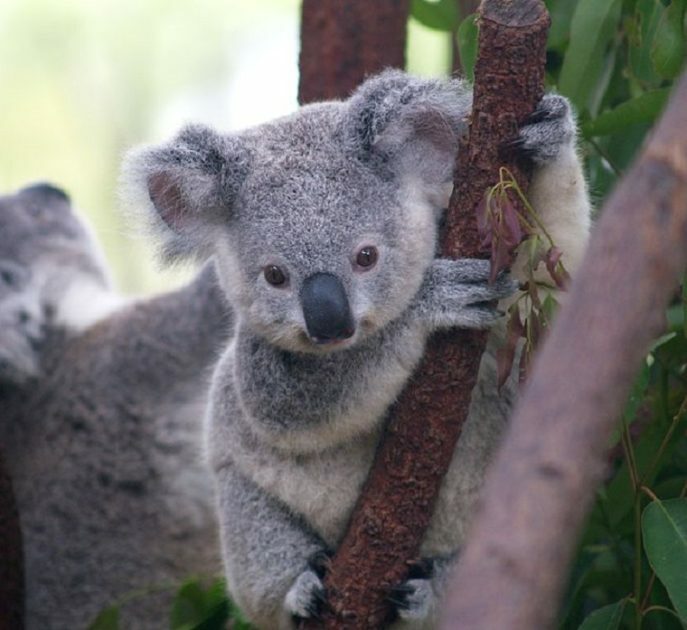 Koalas usually sleep somewhere between 18 to 22 hours a day. Whitrow went on to share footage from his animal encounter over social media. What else is someone expected to do after spending some “koala-ty” time with a real-life koala?